Olives are thought to have first been domesticated in the northeastern Levant, an area near the border of present-day Turkey and Syria. Map captured from Google Maps. With the emergence of the California olive oil industry, the state has witnessed a dramatic diversification in the olive cultivars grown commercially. Our mainstay black ripe olive industry, dominated by the ‘Manzanillo' olive, is now combined with increasing acreage of Spanish, Greek, and Italian cultivars used to create high quality, extra virgin oil. The historic table olive industry of California still represents around 18,000 acres of olives in the state, while approximately 40,000 acres are currently devoted to oil production. Although olive cultivation in California is relatively new (dating back to the historic Spanish Missions established by Franciscan priests), olives are of key importance in the history and culture of the Mediterranean basin. A recent publication by a group of European, American, and North African scientists has re-evaluated the location of the domestication of the olive, providing genetic evidence that domestication occurred in the northeastern Levant, close to the present-day border of Syria and Turkey. To complete the study, researchers collected plant material from nearly 2000 trees, sampling both wild oleaster populations and domesticated cultivars of olive. World Olive Germplasm Banks in Córdoba (Spain) and Marrakech (Morocco) served as sources of the majority of cultivars included in the study. Researchers utilized the genetic sequences of plastids (ie. chloroplasts) to discern differences between cultivars and wild oleaster populations. Plastids are organelles (structures inside cells) that contain their own DNA. Since plastids are generally inherited from one parent (similar to mitochondria), their genetic sequences are more conserved then that of nuclear DNA, which is contributed by both parents. 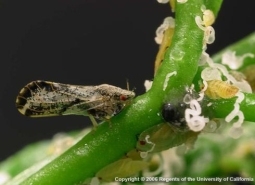 Since olive is a wind-pollinated crop, nuclear DNA may be disseminated over large distances. The genetic analysis of wild populations indicates three distinct lineages of olive: the Near East (including Cyprus), the Agean area, and the Straight of Gibralter. These three wild populations are likely linked to refuge areas where populations persisted through historic glaciation events. Interestingly, the geographic distribution of these three populations also corresponds to the subdivisions of the olive fruit fly, suggesting that these regions offered shared refuge habitat for both the host and the pest. The wild oleaster population in the eastern Mediterranean was found to be more diverse than previously thought and ninety percent of the present-day cultivars analyzed in the study matched this group. Common olive cultivars grown in California, including, Sevillano, Arbosana, Arbequina, and Koroneiki, all belong to this group originating in the eastern Mediterranean. As a result of this study, it is proposed that the initial domestication of olive took place in the northeastern Levant; subsequently, plant material was disseminated to the whole Levant and Cyprus before being spread to the western Mediterranean. After these initial domesticated trees spread throughout the Mediterranean basin, they likely underwent subsequent domestication events by crossing with wild oleasters, thus introducing genetic material from the other two ancient western Mediterranean lineages. Such studies may appear purely academic; however, they can also address more timely questions and assist in characterizing cultivars. 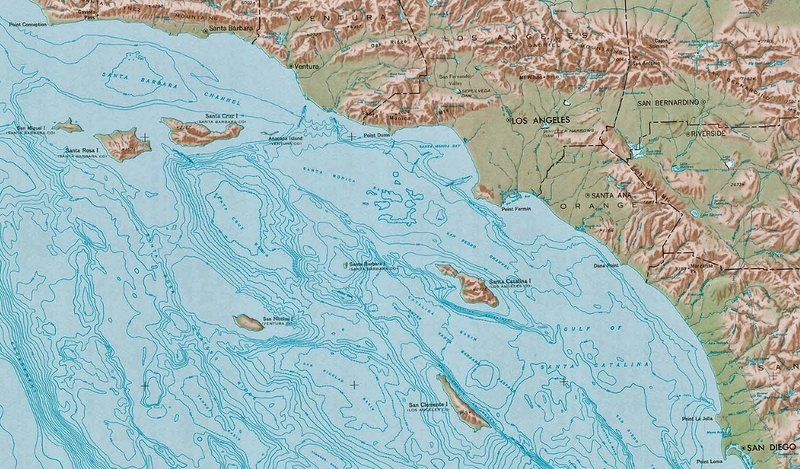 For example, a 2010 study in California made genotypic comparisons between historic olive plantings in Santa Barbara, CA and at Santa Cruz Island, CA. The study elucidated that the olives on Santa Cruz Island, planted in the late 19th century are different than other historic olive plantings in Santa Barbara, CA. Olives planted at the Santa Barbara Mission in the late 18th century are the ‘Mission' cultivar, whereas those on Santa Cruz Island (Figure 3) are generally ‘Redding Picholine.' Interestingly, the olives on Santa Cruz Island are thought to have been planted for oil production, but there are no historic reports of harvest or sale of a crop. Additionally, the Santa Cruz Island olives have become somewhat invasive on the island due to their propensity to establish from seed. As a result of genotypic analysis of these populations and the fact that ‘Picholine' makes an excellent rootstock due to its ease of propagation from seed, it is hypothesized that the ‘Picholine' variety was intended as a rootstock, but the grafts never took. Consequently, maturation of a ‘Picholine' orchard may have just been an accident, a mistake, or simply bad luck. The completion of this local population genetics study may have helped explain the unsolved mystery of the historically unharvested trees on Santa Cruz Island. Besnard, G., Khadari, B., Navascués, M., Fernández-Mazuecos, El Bakkali, A., Arrigo, N., Baali-Cherif, D., Brunini-Bronzini de Caraffa, V., Santoni, S., Vargas, P., Savolainen, V. 2013. The complex history of the olive tree: from Late Quaternary diversification of Mediterranean lineages to primary domestication in the northern Levant. Proc R Soc B. 280: 20122833. Soleri, D., Koehmstedt, A., Aradhya, M.K., Polito, V., Pinney, K. 2010. 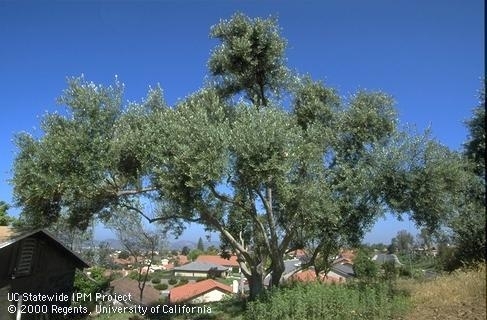 Comparing the historic olive trees (Olea europaea L.) of Santa Cruz Island with contemporaneous trees in the Santa Barbara, CA area: a case study of diversity and structure in an introduced agricultural species conserved in situ. Genet Resour Crop Evol 57:973-984.